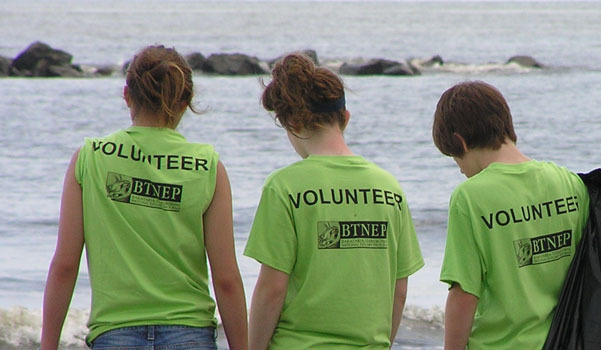 Thank you BTNEP for these pictures of your volunteer efforts! 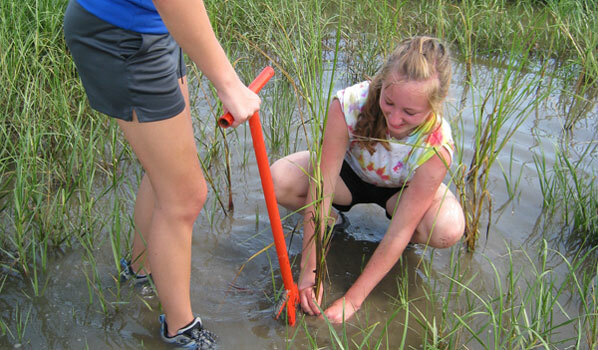 Public meetings and activities keep you informed and allow you to take part in Louisiana’s coastal restoration activities. Whether you want to attend a CWPPRA Task Force meetings, parish Coastal Zone Management meetings, or coastal conferences; the LUCC Calendar can help keep you informed about ways that you as a citizen can have your voice heard in issues related to Louisiana wetlands. You Can Write About It? Write About It? Sure, as a U.S. citizen you can contact any of your elected officials to voice your opinion about Louisiana’s coastal restoration activities. To contact your elected officials click here. Each of us has some effect on our wetlands. Each of us can help save them. Our contributions may seem small, but they join with those of four million other Louisianians. 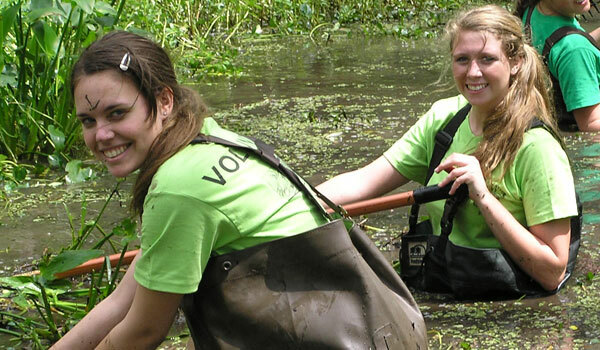 You can help by learning about wetlands in your area and educating others about these unique and intriguing places. Call the Louisiana Coastal Wetlands Conservation and Restoration Task Force -CWPPRA Public Outreach office at 337-266-8623 to learn more or to schedule a guest speaker for your community. 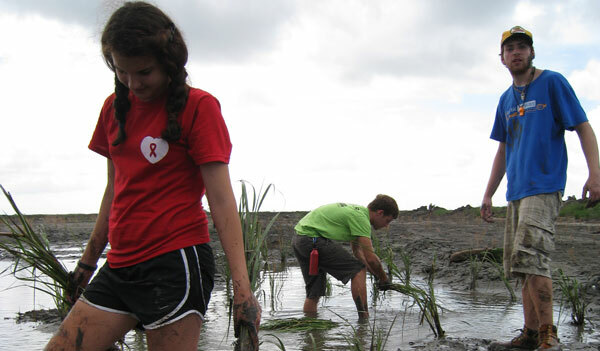 Here are nine more ways you can help clean up, maintain, and restore our wetlands. Saving water will help our wetlands by reducing the volume of water going through sewage treatment plants. A dripping faucet can waste 20 gallons of water a day and a leaking toilet 200 gallons. If your water meter dial moves when no water is running, you have a leak. Use water sparingly while brushing your teeth, washing dishes, or shaving. Install a water conservation shower head and take short showers instead of baths. A bath uses 30-50 gallons of water, a short shower only 10. Many products under your kitchen sink or in the garage can harm the wetlands. Never pour paints, preservatives, brush cleaners, and solvents down a drain. Sewers or septic tanks do not treat these materials, and they can enter the wetlands untreated. Buy the product with the least amount of toxic material. Used turpentine and brush cleaners can be filtered and reused. Learn about your parish's household hazardous waste disposal program. Lawns with trees and shrubs prevent erosion, soak up nutrients before they run off into the wetlands, and improve your soil by adding organic material. Plant the right grass by testing your soil annually. Use the proper fertilizer, and do not over-fertilize. Improper fertilizing can lead to disease, poor root growth, or weed problems. Water your yard only when it's dry by soaking the soil to a depth of four to six inches. Make sure your lawn service is customized to your lawn's needs. Pesticides can eliminate all bugs. A better way to eliminate harmful garden bugs is to encourage helpful bugs and animals. Make sure wood piles which attract termites are away from your home. Dispose of old tires properly from water where mosquitoes like to breed. Follow pesticide directions carefully. Do not apply near water or bare ground, and do not apply if rain is forecast. Ninety percent of the rain that falls in Louisiana finds its way into our wetlands. This run-off can carry the fertilizers and toxic chemicals you use on your yard. By retaining rainwater you improve the water quality of our wetlands, reduce erosion, replenish the groundwater supply, and reduce the need for fertilizers. Trees, shrubs, and groundcover reduce run-off and soak up nutrients which help clean the water. They will be most effective if planted as a buffer around your yard or in a bare area. They also require less maintenance, fertilizer, and herbicides than grass. When rain falls on hard surfaces such as walkways, patios, and driveways, it can go into a storm drain and be carried into our wetlands. This water can't nourish the soil, and it deposits sediments and nutrient swhich overload the area. Rain soaks into soft ground and provides nourishment. Slow down run-off by reducing the amount of hard surfaces around your home. Wood decks with space between the boards allow water to drain into the ground. Brick or interlocking stone walkways also permit water to seep into the soil. Diverting rain from paved surfaces onto grass reduces run-off into storm drains. If a septic tank fails, its untreated sewage can seep into rivers and into our wetlands. Your system is not working properly if drains and toilets drain slowly or if effluent seeps upward from the ground. Dispose of chemicals properly. Use your garbage disposal sparingly to reduce grease and solids in your septic system. Don't use your toilet as a garbage can. Know the location of your system, and keep heavy equipment off the drainage area. Plant trees and shrubs away from drain tiles so they do not clog the drain lines. Motor oil, anti-freeze, and battery acid harm our wetlands if they flow into storm drains or off paved surfaces into a waterway. Contain these fluids when you change them. To dispose of these materials, check your local service station or call the Louisiana Dept. of Environmental Quality (504) 765-0261. If you cannot dispose of these products, put them in a strong plastic bag with newspaper or other absorbent material. Wash you car on grass so that water and detergent are filtered through the grass before entering our wetlands. If pesticides, oil, or similar products leak or spill onto the garage floor, driveway, or other hard surface, do not wash down the area. This will cause further contamination and may carry the material to storm drains or other water sources. Surround the contaminated area with dirt or sprinkle sawdust, kitty litter, or other absorbent material over the spill. Put the material into a strong plastic bag and put the bag in the trash. The CWPPRA Program would like the public to be aware of what is going on with our coastal wetlands. The CWPPRA Newsflash is sent out by email to do just that. To subscribe and learn more send an email from the address you want subscribed to ListServer@nwrccom.cr.usgs.gov with the subject "subscribe cwppra". WaterMarks is CWPPRA's signature document that highlights activities of the program. An ecosystem of enormous national significance is vanishing into the Gulf of Mexico at an alarming rate. In the past century, Louisiana has lost more than one million acres from its coast. Every 42 minutes one acre, an area roughly the size of a football field, vanishes. With every acre lost, an essential habitat moves closer to extinction. Billions of dollars in seafood production, oil and gas revenue, and commercial shipping will be lost without Louisiana's coastal wetlands, which provide the basis and support for these critically important national industries. In terms of human life and culture, the value of these wetlands is beyond estimation. To address the need for immediate action, the United States Congress passed federal legislation known as the Coastal Wetlands Planning, Protection and Restoration Act (CWPPRA) in 1990. 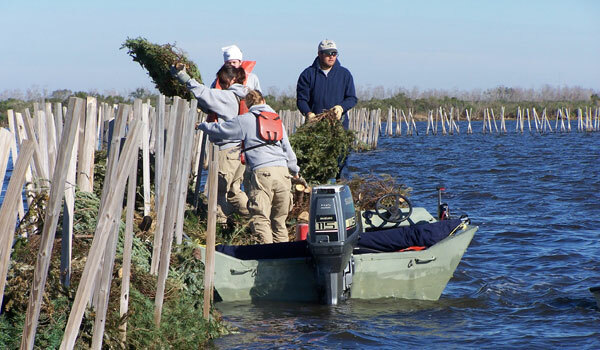 This legislation funds a multi-faceted coastal rehabilitation program that is managed by a task force of five federal agencies and the state of Louisiana. 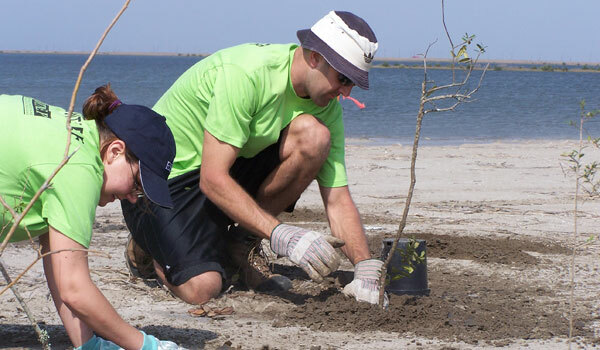 The goal of CWPPRA is to fund coastal restoration projects that create, restore and protect degraded wetlands, and restore natural processes where possible. Since 1990, more than 148 CWPPRA projects have been constructed or approved for construction. During the 20-year life span of each project, over 70,000 acres of land are expected to be created or protected, and an additional 320,000 acres enhanced.